Actors from the London Stage B..
New MTSU-NSCC agreement will h.. Centuries ago, before the birth of Jesus, teams representing Irish villages would tune up for battle by wielding sticks in pursuit of a hard, round ball. The sticks look as though someone shortened golf clubs and sat on them. You can dribble the ball. The idea is to propel the ball into the opponent’s net at the other end of a grassy field for a three-point score. You can also score one point by propelling the ball between two elevated goalposts. 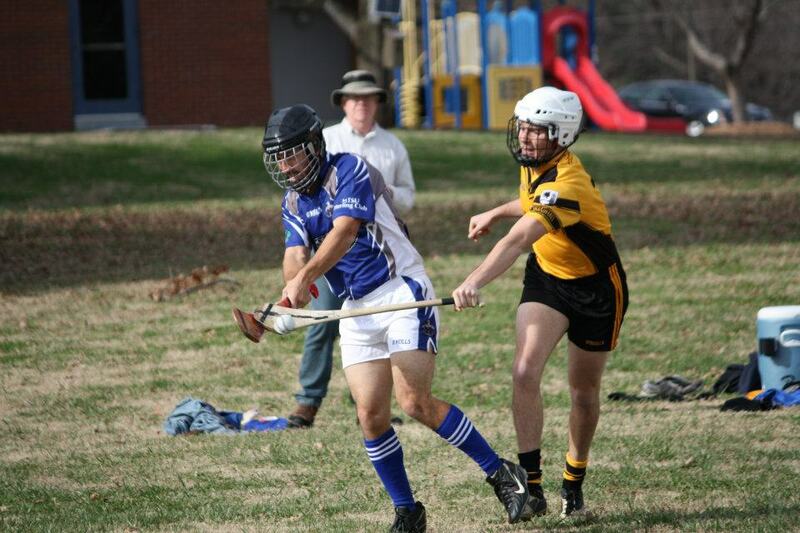 Lest you think we’ve been hitting the Guinness, the sport is hurling, and Middle Tennessee State University students who love to play it have formed the only hurling club in the entire state of Tennessee. 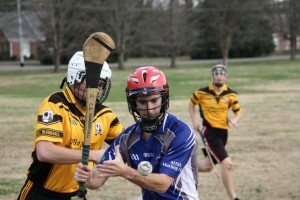 Their next contest is slated for St. Patrick’s Day, March 17, in Lexington, Ky., against the Lads of Lexington hurling club. Tim Buckley, a 21-year-old mass communication major from Chattanooga, is the group’s president. He was inspired to round up others for regular hurling matches following a study-abroad trip to Ireland, where the sport is one of the most popular national pastimes. And that’s what the MT Hurling Club prefers, as well. They’re not officially sanctioned by the NCAA or the university so they call themselves Wolfhounds instead of Blue Raiders. Their sponsors include Opossum’s Pub, the apparel manufacturer O’Neill’s, the Gaelic Athletic Association and Authentic Ireland Cultural Enrichment of Brentwood. They stumbled into a luck-of-the-Irish kind of break when one of the hurlers attended a tournament in St. Louis wearing a hurling t-shirt. Local hurler John Watson struck up a conversation, telling the lad he was moving from St. Louis to Nashville, and the Wolfhounds acquired a coach. With a flurry of sticks, balls and men flying up and down the pitch at unrestrained speed, hurling is less a combination of other sports’ skills than an adrenaline-fueled 21st century extreme sport. But its roots date back to when extreme sports were far more extreme. The first recorded account of such a contest dates back to 1272 BCE, when the town of Fir Bolg and the invaders from Tuatha De Dannan tuned up for the real fight by batting the ball around. Fir Bolg emerged victorious and then proceeded to bat the invaders from Tuatha De Dannan around. After centuries of rules changes and reorganizations, hurling has considerably less conflict and no hockey-like enforcers. Tackling from behind is illegal, but any play on the ball with a stick is legal, which can be tough on the hands. 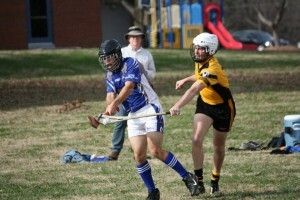 MT Hurling Club home games are free and open to the public at the MTSU Sport Club Complex, 2111 E. Main St. in Murfreesboro. For more information about the MT Hurling Club, visit Facebook page.